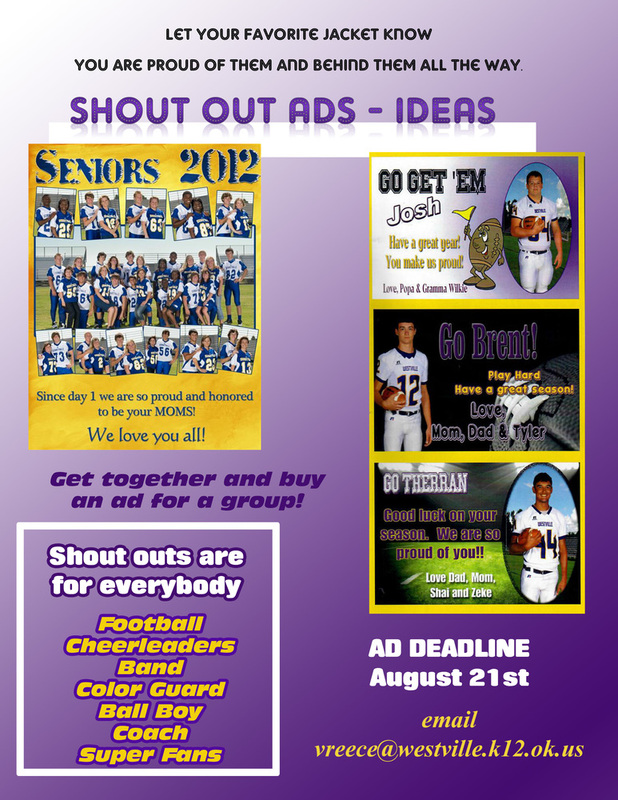 The deadline is approaching for shout out ads! Football has started and it's time to get those business ads and shout out ads in for the program. Ads range in price from $15 for a tagline under a varsity player pics on up through our page ads. Get creative. Show us what your little Jacket looked like when he/she first cheered or stepped foot on the field. The pricing form is available here. Ads may be submitted online by emailing vreece@westville.k12.ok.us. To sponsor a varsity football player's picture, use this form. Remember, this is 2-3 lines of print under their picture.